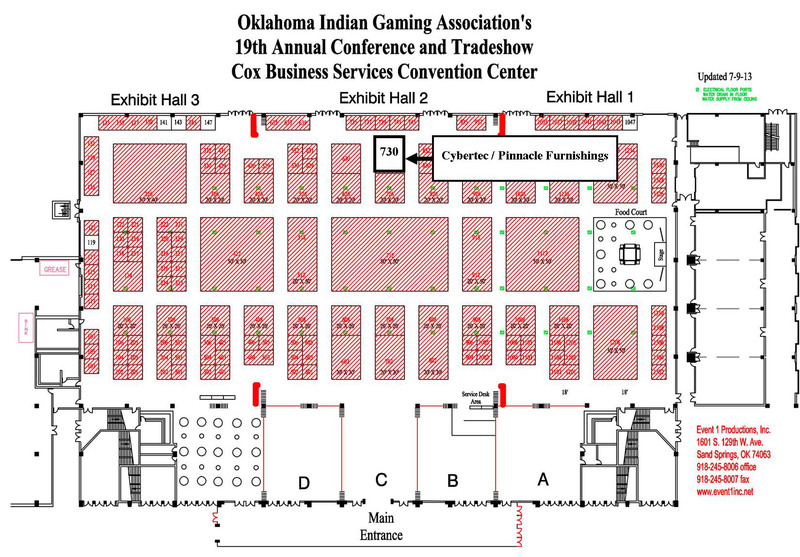 This year Pinnacle Furnishings teams up with Cybertec Gaming Systems at booth #730 at the 2013 Oklahoma Indian Gaming Association’s Conference and Trade Show. It will be held the third week of August, 12th-14th at the Cox Convention Center in Oklahoma City, Oklahoma. Learn more about Cybertec here. Stop by and take a look at our newest designs; we will be featuring new our new 2000 series. Talk to a sales representative and grab a CD catalog. Hope to see you there!